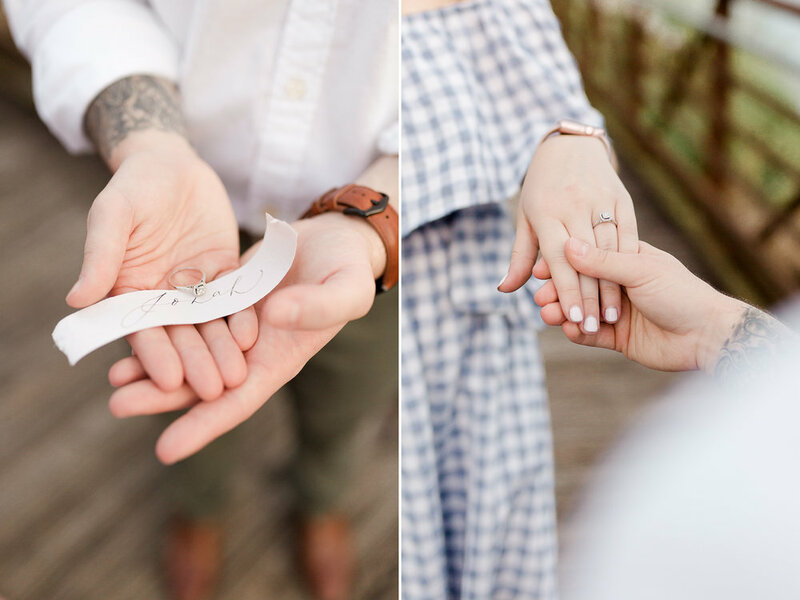 I would love to share the beautiful photos from Rebecca and Jonah proposal from last week! Jo contacted me a few weeks ago and told me he was going to propose to his sweetheart, then the planning started! I got together with my sweet friend and calligrapher artist Josefina from Love Offering and told her I wanted to create something very special for them, my Mom created and designed Becca's bouquet! Click play below to watch the engagement story! The big day arrived and I met Jo at the park. Jo asked a mutual friend to make up a photography project. She asked Becca if there was a park around town that Becca liked. Becca suggested Peterson Park because it has become a very special place for her and Jo where they have celebrated their anniversaries. Jo told her earlier that day that he wanted to take her out on a date. This was his perfect excuse to get her dressed up! Becca arrived at the park, completely unaware. I was hanging around with Mom and we were hiding from Becca so she would not see me with my big camera! It would have ruined his surprise! Jo and Becca met and they started talking. Becca was very surprised yet still completely unaware of Jo's intentions. He began talking with her about their relationship and how God has brought them closer together. At the perfect time, he got down on one knee, and he asked her to marry him and spend the rest of her life with him! Of course, she said YES, and I was there able to capture this incredible moment between this beautiful couple. 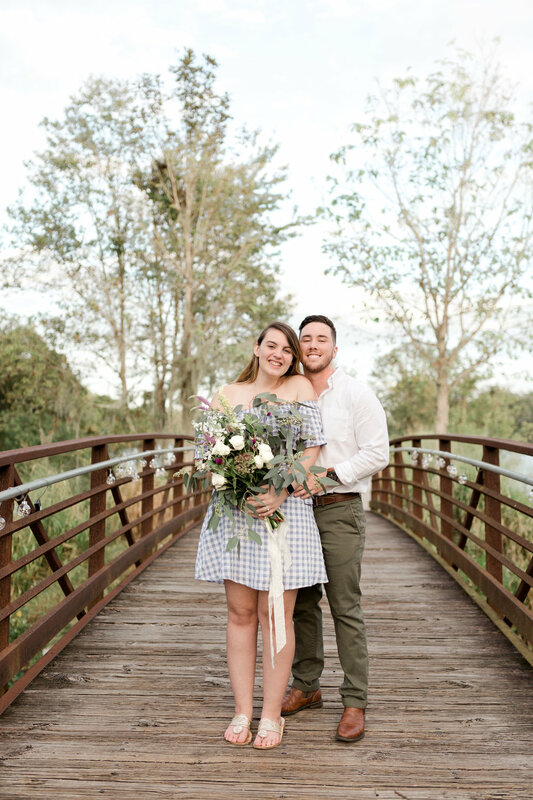 Becca and Jo, Congratulations on your engagement! You make a wonderful couple. Wishing that this be just the start of a long and wonderful journey! 1 Corinthians 13:13 - And now these three remain: faith, hope, and love. But the greatest of these is love. What do you love to do together? How long have you been together? We've been going strong for 6 years. We love trying new restaurants (and wines). We also love spending time with our families and taking our daughter to see new places! How did he pop the question? I would love to hear all the details! He proposed in front of all his family on New Years Day, just minutes after the ball dropped! I knew it was in the works but had no idea when, nor that he would be so brave to do it in front of so many people. His family was cheering so loud that I couldn't even hear a word he was saying so I just started nodding my head to say yes before he could even ask the question, lol! I also found out later when watching a video, that he dropped the ring a few moments before and had a couple family members distract me while others were looking for it! So glad he found it! What is your favorite thing about being engaged? What do you love about it? I love my ring! haha! In all seriousness, the love is the same, the day-to-day motions are the same. I have no doubt that we will continue to go through many more trials and tribulations, through this engagement and for years to come during our marriage, I know that whatever we face together, it will always strengthen our love and relationship. My favorite part is knowing that he's giving me the greatest gift of sharing my last name with our daughter! What is one of your favorite things about your future husband? His ambition; He never settles for anything, and he never allows me to settle either. He tells me when I'm wrong and truly humbles me when I need to see it, but he'll also bat the world for me when he knows I need it! And he's also the funniest person I know! It was a pleasure meeting Vy and James, hearing about their love story and of course photographing their engagement session in Sausalito, I fell in love with this place, Sausalito is just a ferry ride across the bay and the stunning views of the Golden Gate Bridge and the skyline of San Francisco are spectacular! It is one of the most romantic places in San Francisco for engagement photography. 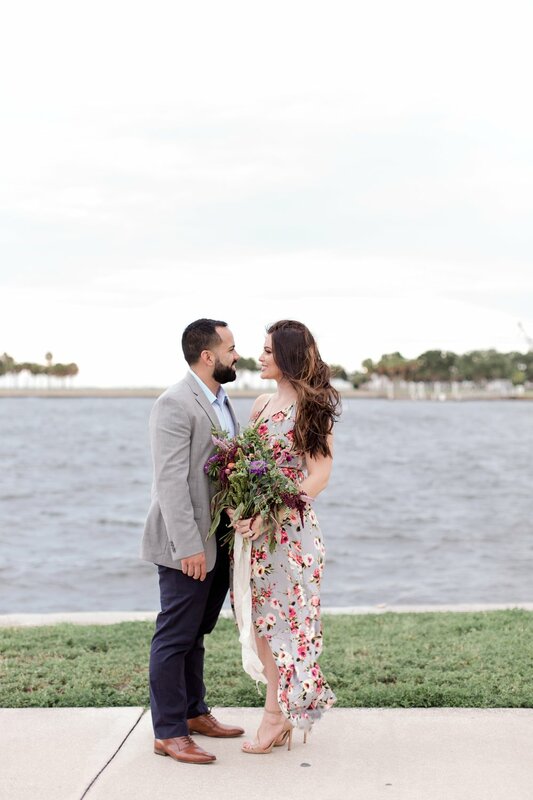 Vy and James got engaged in March and have been together for 3 years, they will be getting married later this year in the fall and will be celebrating their wedding with close family and friends. When I asked Vy, what was the best thing about being engaged she said, now they feel more responsible about their relationship. 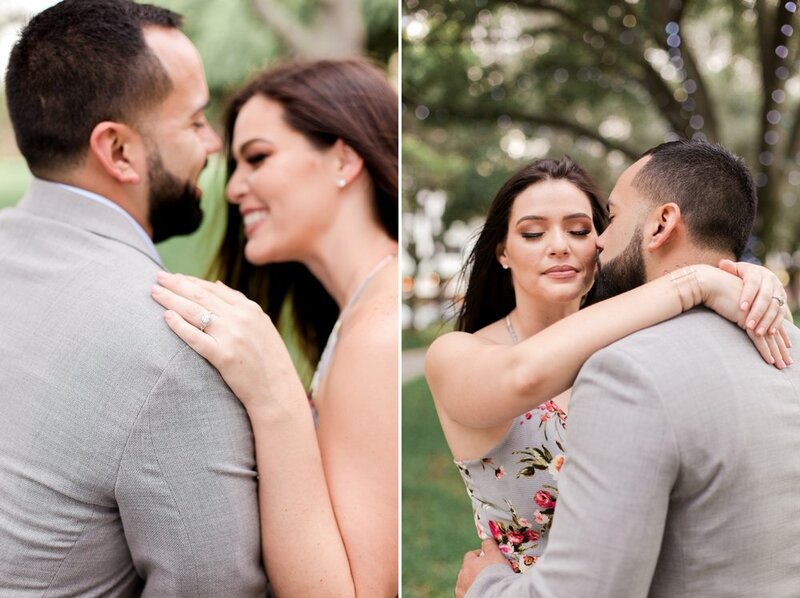 They are an incredible couple together, they are so focused on each other and now have the best gift that life has to offer, their love for each other.Congratulations on your engagement! You make a perfect couple. 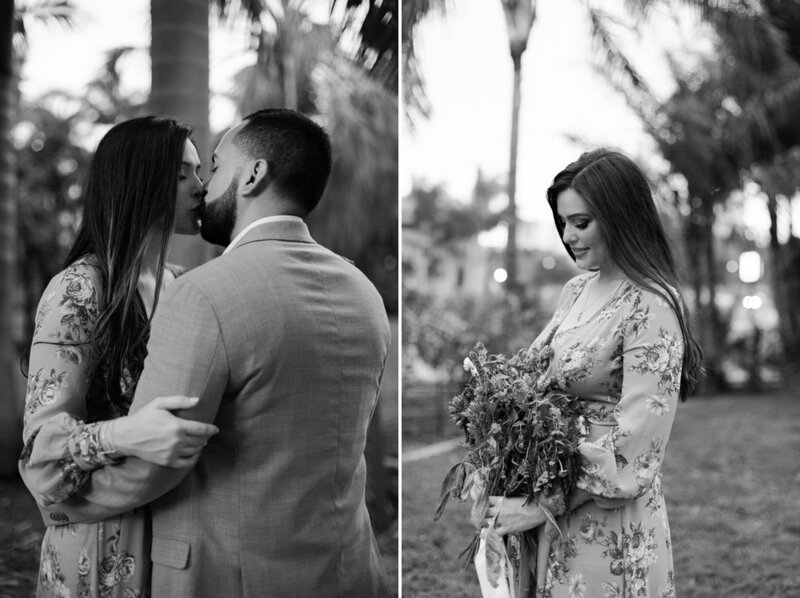 Thank you guys for allowing me to photograph who you really are as a couple! Sausalito it is such a charming little place and definitely was the perfect location for their engagement session, it is incredibly photogenic and I can not wait to go back for more engagement sessions in San Francisco. Cheers to a future of love, commitment and happiness!